The area graph presents quantitative data over time, similar to line graph. Each data series (each area) is color coded. Commonly used to compare multi-series data (multiple areas). 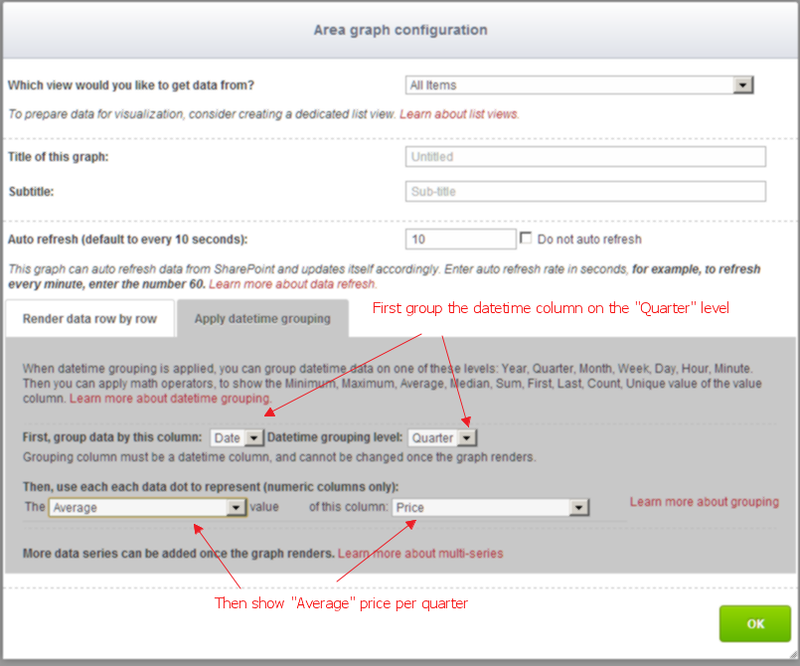 Here is an example of a single-series area graph (see below example live). Sometimes instead of plotting datetime data row by row, where each row of data is a dot on the area graph, you want to group datetime data. 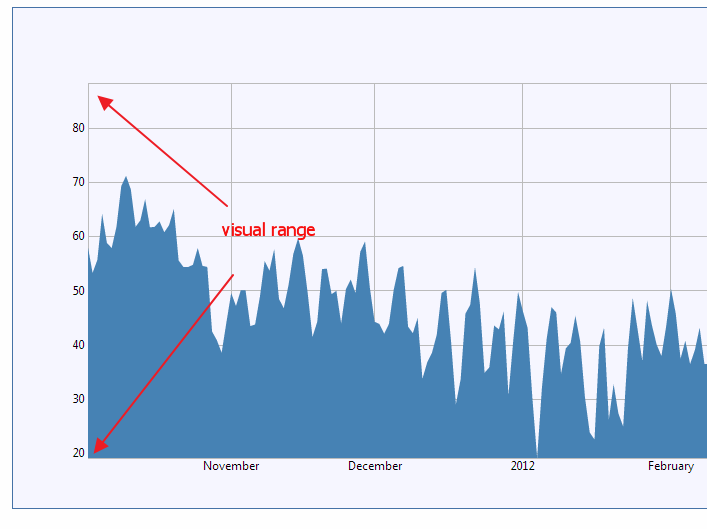 The visualizer can group datetime data on one of these levels: Year, Quarter, Month, Week, Day, Hour, Minute. Once datetime data is grouped, the area graph can show one of these values: Minimum, Maximum, Average, Median, Sum, First, Last, Row Count, Unique values. 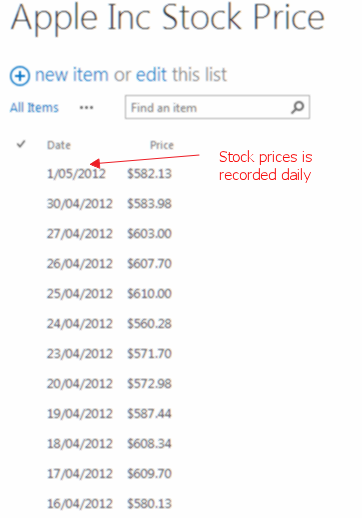 First we have a SharePoint list holding the stock price of Apple Inc from 2007 to 2012. Now, what if we want to create an area graph, where it shows the “average stock price quarterly“? to do so, use the following configuration. When rendering, the visualizer will determine the visual range on the Y axis from data, from example, if the minimum and maximum value from your data is 20 and 80, respectively, then the area graph’s Y axis will begin at 20 and end at 80. You can adjust the shape of the area in the configuration panel.